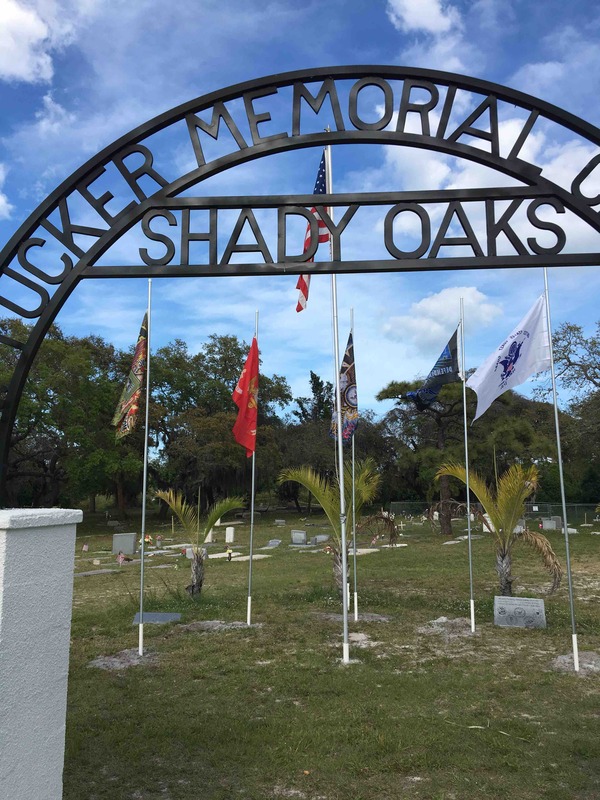 The Cemetery is in total disarray and with over 280+ plots, including at least 30 Veterans, this is a disgrace to their ultimate sacrifice! These young men deserve to be remembered and deserve a better environment, to be forgotten is bad enough, but to have their grave sites desecrated with empty beer bottles and trash is unforgivable. 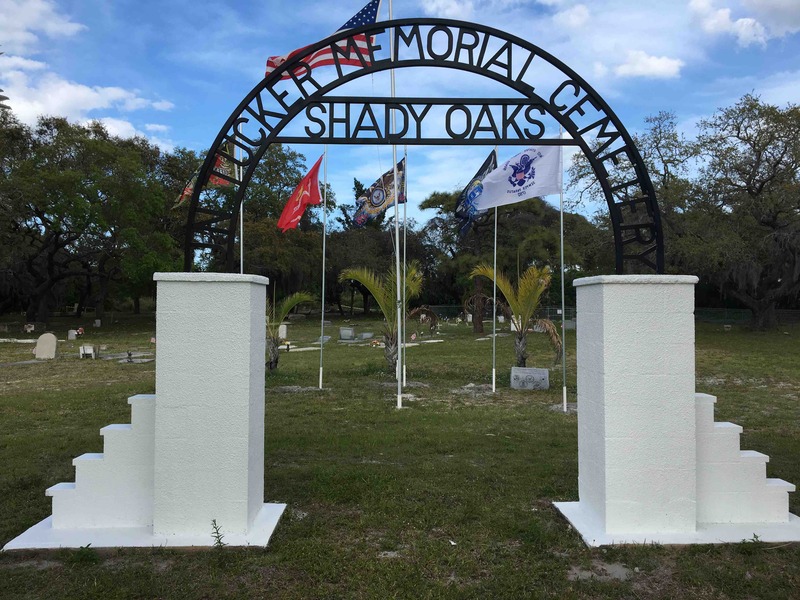 Please help us so we can clean up this final resting place for some of the Founders and earliest settlers of the town of Eau Gallie. 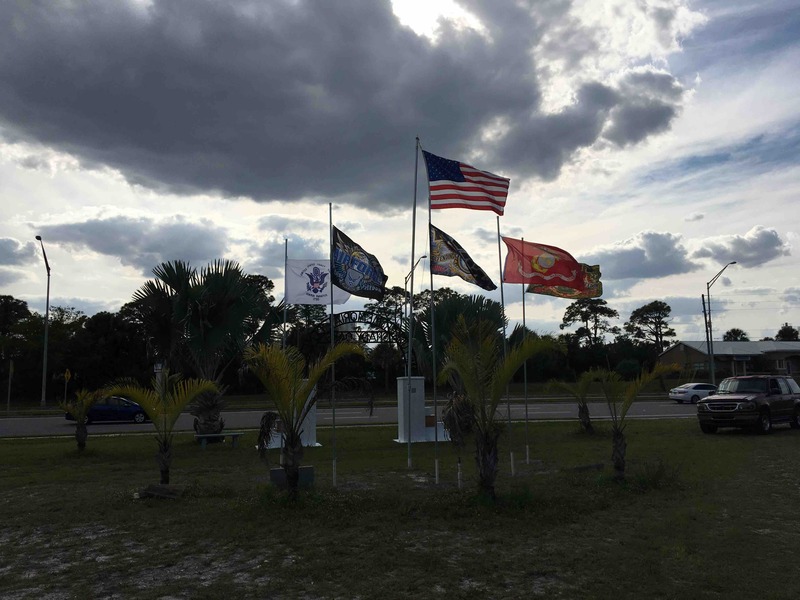 Most of the veterans are US Army, with at least one US Marine! Thank you to all for your donations, any amount with be appreciated and let’s get rolling!! Hooah & Oorah!!! Let’s have these young men’s 6! 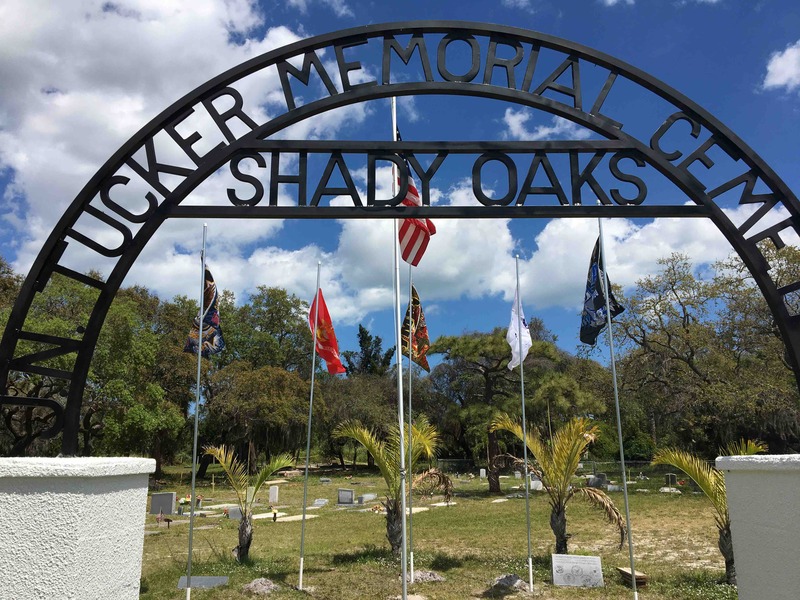 Our last major clean up of the Shady Oaks Cemetery is happening this Sunday April 14th @ 8-Noon...We hope to see everyone out there!! 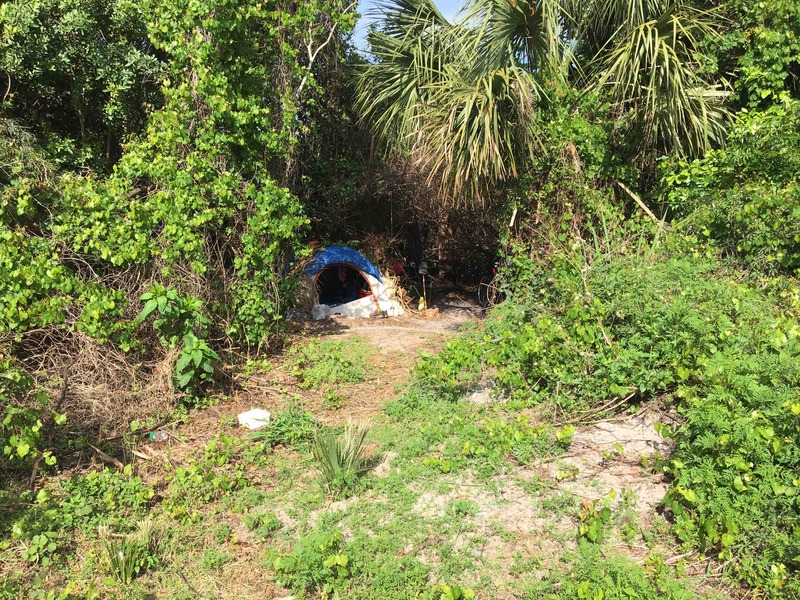 Homeless camp is in the NE corner of the Shady Oaks Cemetery...Melbourne P.D. have been notified of at least two tents...Beer bottles and cans are spread out over the cemetery, Michael has already cleaned up and made the area Parade Ready!! 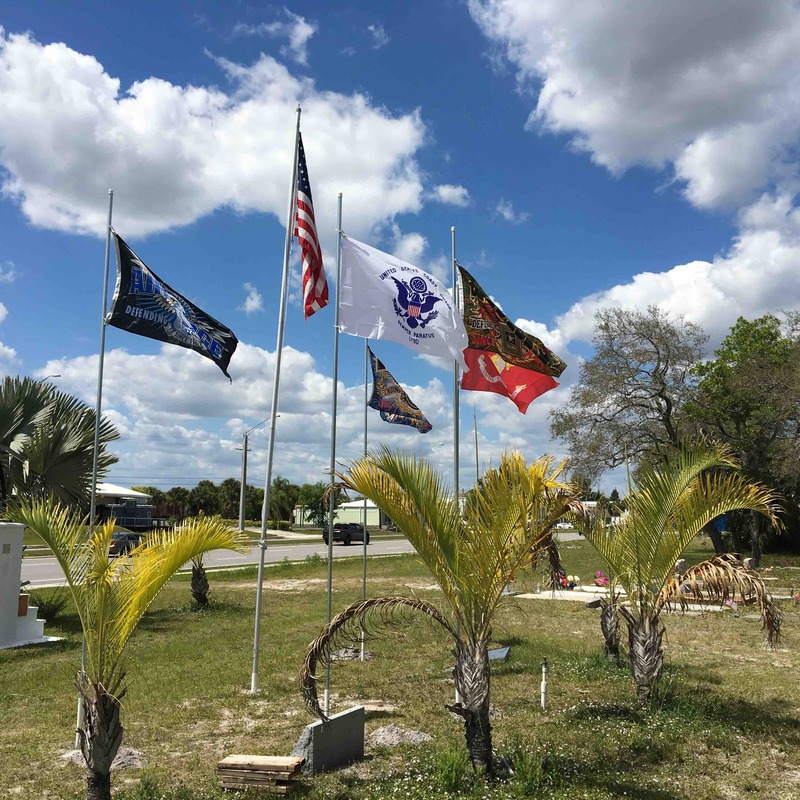 Incredible transformation by adding the five service flags!! Awesome job by Ardell & Michael Cheek!!! True Patriots!!! 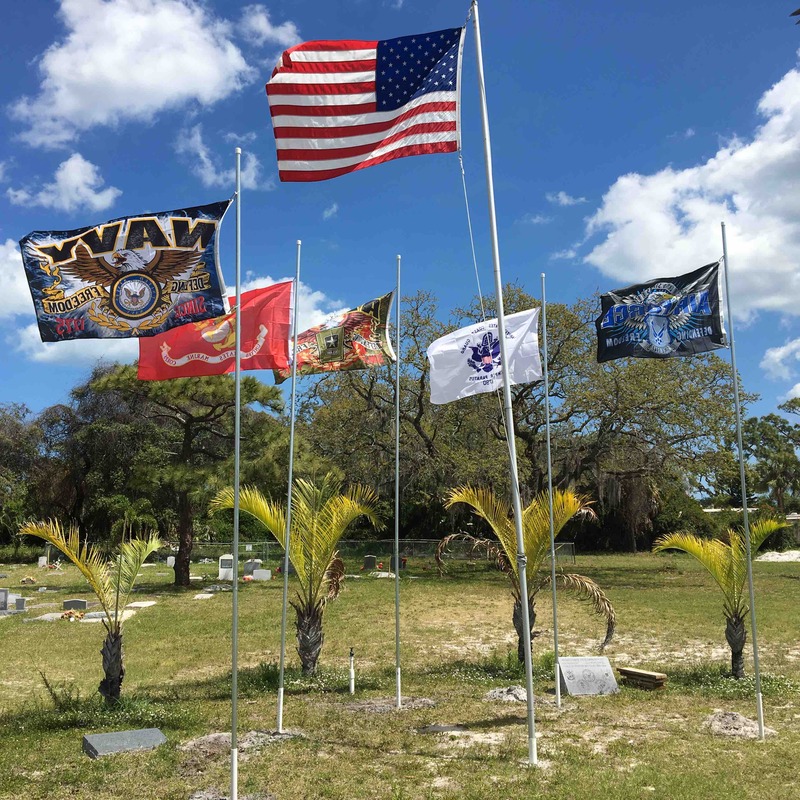 All five service flags are flying proudly at the Shady Oaks Cemetery!! Ardell & Michael Cheek did an incredible job this weekend!! All our Veterans deserve nothing but the BEST!! USA!! USA!!!USA!!! !